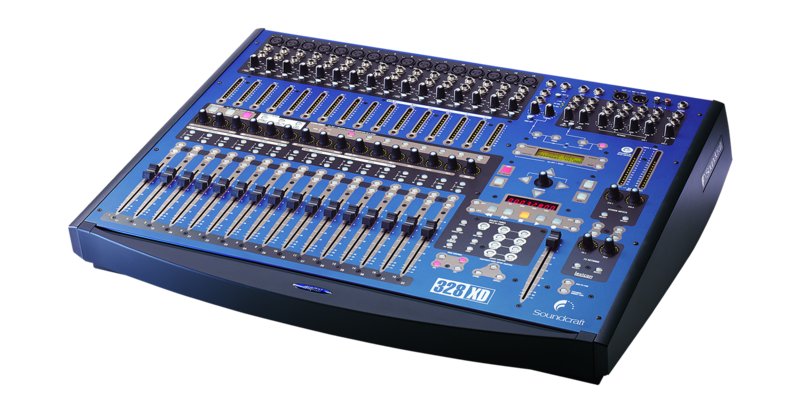 As easy as an analogue console, the Soundcraft 328XD combines sophisticated moving fader automation with legendary Soundcraft sonic performance and onboard interfacing to virtually all formats. Not just an amazing console in it's own right, the 328XD is designed to integrate completely with desktop packages. Using the 328XD as a hardware controller and combining its mixing engine with that of a desktop sequencer produces one huge, awesome production centre. Indeed, with its 56-bit internal processing, it makes sense to run desktop audio channels through the 328XD at mixdown. Up to 42 inputs at Mixdown, plus 8 groups, and 16 direct outputs. MIDI Controller mode to remote control your sequencers & synths.